Hoodies available to buy now! What is a trip without a Hoodie? 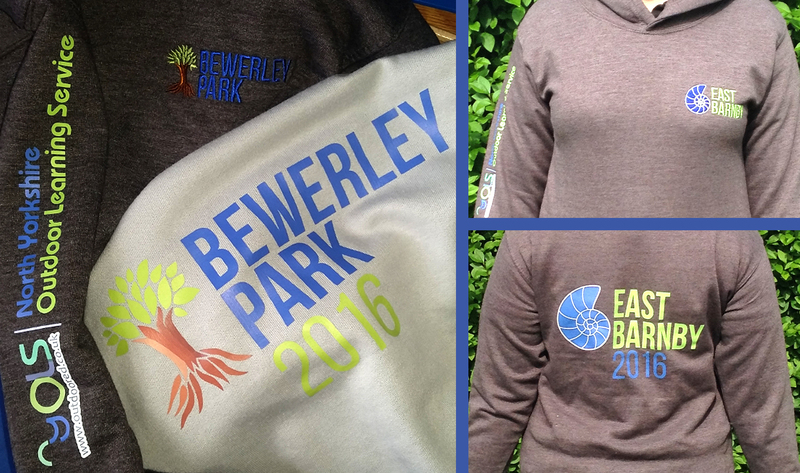 That’s exactly what we thought, so we teamed up with the great people over at Coniston Corporate to bring you the first in what will be a fantastic range of Bewerley Park and East Barnby merchandise. When you order from our e-shops the order goes directly to Coniston Corporate. They then make your hoodie and dispatch it to you. This may take up to 2 weeks as they are made to order, no stock is held. We don’t keep stock at either centre so the only way to buy one is on-line. Please direct all enquires to Coniston Corporate via the e-shop. These are top quality 80% cotton/20% polyester hoodies that are built to last. They have ribbed cuff and hem, a Kangaroo pouch pocket with hidden earphone cord feed and a double fabric hood. The kids sizes do not have draw cords.